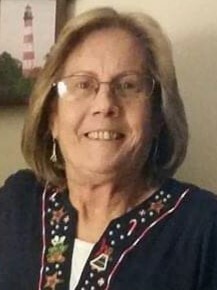 Mary P. Foster, 61, of Glenmoore, passed away on Wednesday, October 31, 2018 at Neighborhood Hospice of West Chester. Born in Bryn Mawr, she was the daughter of the late Harrison D. and Patricia A. Cowan Foster. Mary was an avid reader and truly enjoyed time with her grandchildren. She also loved gardening, ceramics and roller skating. Mary is survived by her children, Jennifer M. Rapp, Robert N. Wike and Heather A. Wike; her sister, Betty A. Burkett and her husband Kelvin and by five grandchildren, Dustin, Michaiyla, Alexis, Adam and Andrea. She is also survived by her niece, Christina Marie Mooney and her children, Jesse and Victoria. A memorial service will be held at 2:00 p.m., Saturday, November 10, 2018 at the James J. Terry Funeral Home, 736 E. Lancaster Avenue, Downingtown. Family and friends will be received from 1:00-2:00 p.m. In lieu of flowers, memorial contributions may be made to AseraCare Hospice, 415 Eagleview Blvd., Suite 108, Exton, Pa 19341.